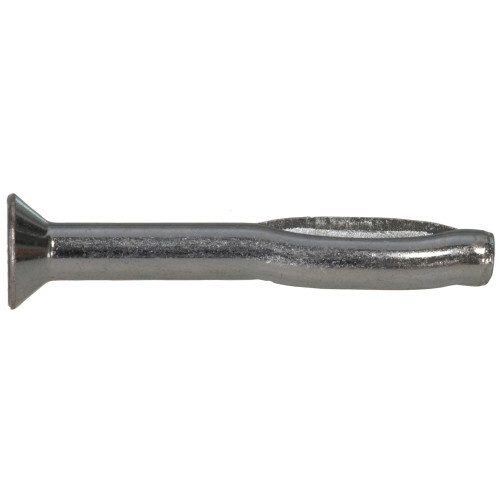 Split Drive Anchors have been designed for permanently fastening items onto solid concrete materials. To use, begin by pre-drilling a hole into the concrete. Then, insert the working end of the split drive anchor through the fixture and into the pre-drilled hole. As the anchor is driven into the hole, the pre-expanded halves at the base of the anchor continually push against the concrete, striving to regain their original shape. This action gives these anchors stability and permanence.